It should be clear by now we have a real affinity for doom metal around here, especially stuff that makes us want to thrash our heads in place while sitting on a couch. That is a true accomplishment, because who wants to be active while lounging? “Toll of the Wound,” the latest EP from Scottish doom trio Of Spire and Throne, scratches a serious itch when it comes to drubbing, deliberately delivered doom metal, and yes, I have noticed that this effort has me wanting to pound away on the coffee table in front of me when I listen to this. I do a lot of listening from the couch, also known as my office. That seriously takes something to make me feel that way. You have to know what you’re doing as a band and really be dialed into the music, and these guys don’t fail ever in that regard on this three-track basher. They hammer out the music like they’re trying to torture it slowly and with menace, and that has carried over to me every chance I’ve spent with this EP. Of Spire and Throne have been kicking around for about five years now, having released their first offering in 2010 with their self-titled demo, following that up a year later with their first EP “The Trial of Failure.” They returned in 2012 with another EP “Vagary,” contributed to a 2013 split release with Ortega on a monster of a project that’s nearly 90 minutes long, and now they have “Toll,” that is being released domestically by Broken Limbs Recordings. 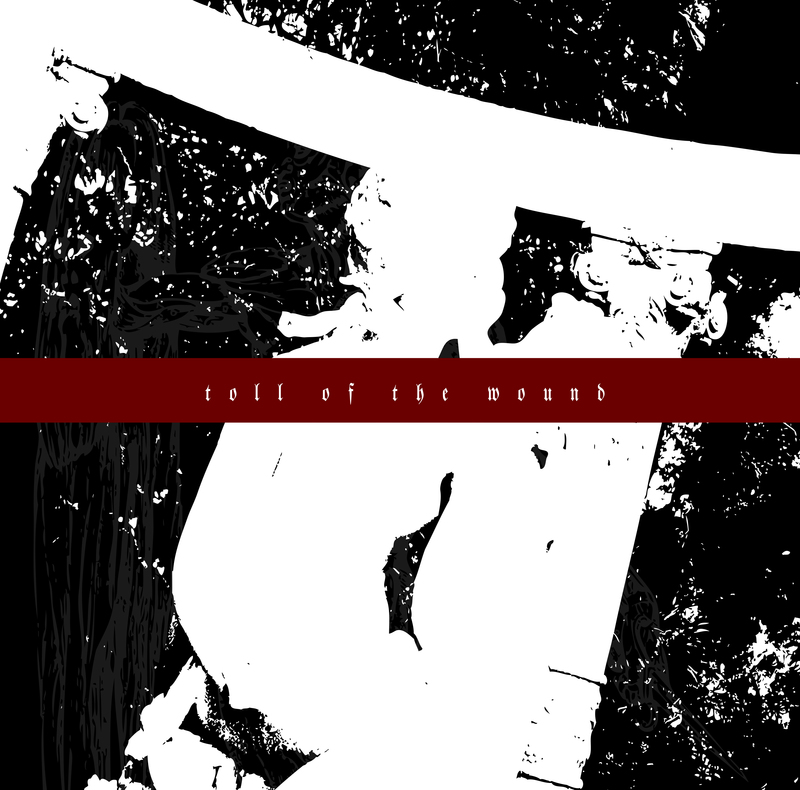 The folks behind this punishing band are guitarist/vocalist Ali Lauder (who also plays with death metal act Acatalepsy), bassist Matthew Davis, and drummer/synth player Graham Stewart, and for this record, they have James Plotkin mastering the music, who knows a thing or two about how to get the best and grimiest sounds out of the bands he works with such as Batillus, Conan (who would be a strong comparison to Of Spire and Throne), and Culted. The EP kicks off with “Legacy,” that has strong, poking lead guitar work that steers into the first severe mauling the band dishes out over this 30-minute monster of a release. The band just pounds you over and over again, in a drawn-out, calculated fashion, and the vocals are savage and grisly the whole way around. Toward the end of the song, noise greets the sludgy madness and continues to ring out for most of the rest of the track, making the final moments feel like utter obliteration. “Tower of Glass” is a lengthy instrumental, opening with sticks tapping and cymbals crashing, then working into slow rumbles, boiling chaos, and a thick fog of sound that could suffocate. It’s like a walk through damp woods in the fog while you aimlessly try to find your way to some sort of safe haven. Closer “Cascading Shard” runs 12:47, the longest track on here by a few minutes, and is more penetrating doom, feedback-rich static, and grim vocals that drip with evil intent. Not to beat this point into the ground, but they once again mete out furious punishment that continues to bash you about the head and body, never relenting, and never offering any mercy. And it’s a really satisfying feature of the band, because they have such a strong grasp of this approach and don’t seem too worried about what they destroy. The back end has the guitars slipping into smoking drone that continues to torture the rest of the way. Eventually some lead lines show some swagger, and the sweltering ending leaves you exhausted. You will know you have been in a struggle once this EP is over, and you’ll need some time to get your strength back. Of Spire and Throne always leave my doom metal needs satisfied. If you need hooks and big riffs that sound like they emanated from someone’s druggy inhibitions, you won’t really find that here. “Toll of the Wound” is tougher and burlier than those bands’ work, and my guess is you’d walk away with severe hearing damage if you witnessed them live. This is the artistic expression of a massive beating, one that adds another strong band to the collection of those who want their doom to hurt and bruise. I wonder what these barbarians could do with a full-length record. There is so much new music out there and so many bands that it is pretty easy for music to fly under our radars. Even here, where there literally are hundreds of new releases in my inbox it is simple to miss the boat on something just because there is so much to hear that I can’t possibly absorb all of it. I know. Tough problem, right? Woe is me. That’s the case with two pretty spectacular black metal albums that landed over the past few years. While each band is familiar to me, I haven’t dug deep enough into each one of them to really get an intimate grasp for what they do so well. Luckily, Eisenwald is putting each of these releases back into circulation, and if you’re like me and haven’t gotten your hands on a proper copy yet and paid it their proper due, this is an excellent time to make good for that mishap. The first record is “This Place That Contains My Spirit” from Woman Is the Earth, a black metal outfit that hails from the Black Hills of South Dakota, not exactly a world-renowned hotbed for metal. But that doesn’t hold back this band—Jarrod Hattervig on guitars and vocals, Andy Martin on guitars and floor effects, Jon Martin on drums—and their cosmic, atmospheric approach to their sound also lets you float away and dream, almost like you’re under the influence of something amazing that is helping you see colors in music you never could have imagined before. This record originally was released in 2012 and is the band’s first full-length effort and second release overall. They also have a new record “Depths” out in Init Records that also is more than worth your while and that we hope to have for you soon on this site. But for now, we’ll concentrate on this beauty that is creative, spacious, and should keep you awake for hours afterward. The album opens with the title track, as cosmic keys greet you from the start and drag you into eerie coldness. The song eventually erupts with rough growls, deep melodies, and even some murk spread across the terrain. The song switches back and forth from crushing to calm, with the final moments awash in mesmerizing fog. “Bird Song,” the shortest cut at 8:29, ignites from the start, with growls that sound distant and washed out, and even some playing that feels staggering and damaged. There’s a strong melodic core to the song, which is commonplace for the band, and it can dizzy you in no time. “Sage Moon” follows with dissonant guitars, harsh growls, and colorful playing, elements that repeat often during the 12:30 run time. The howls and cries sound desperate and furious, the drums absolutely plaster everything with a sense of purpose, and the rest of the band turns in a killer, complex performance, fading out with a shoegaze-like explosion at the end of the song. “Glow Beyond the Ridgeline,” the 16:15-long closer, opens with buzzing guitars, more melody slathered on, and grisly vocals. The band hits a serious pitch, building their storm and letting the accumulating noise ring out and sting your senses, but then everything slips into spacey, psychedelic keys. That noise continues to build and sets up a haze that gets thicker and thicker for the rest of the song until it finally fades away. “This Place That Contains My Spirit” is a strong debut record that helped set the stage for where they have gone since then, and it’s a recommended purchase for anyone who enjoy bands with a strong sense of black metal purpose but who aren’t comfortable staying within the parameters. 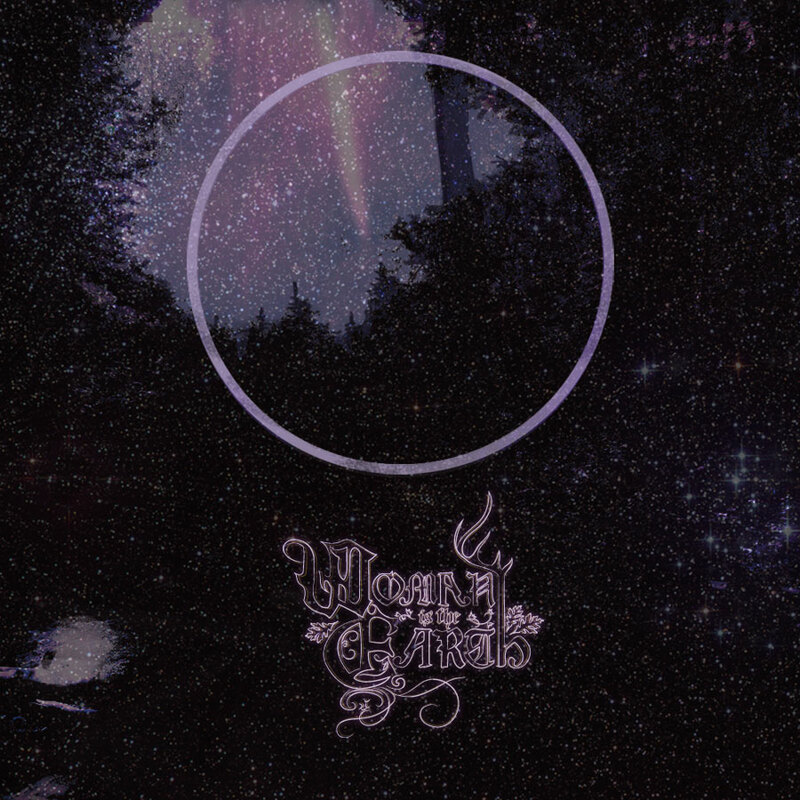 Woman Is the Earth is an exciting band that has a chance to make a serious impact in the metal underground, and if they do, this record always will be remembered as their first step. 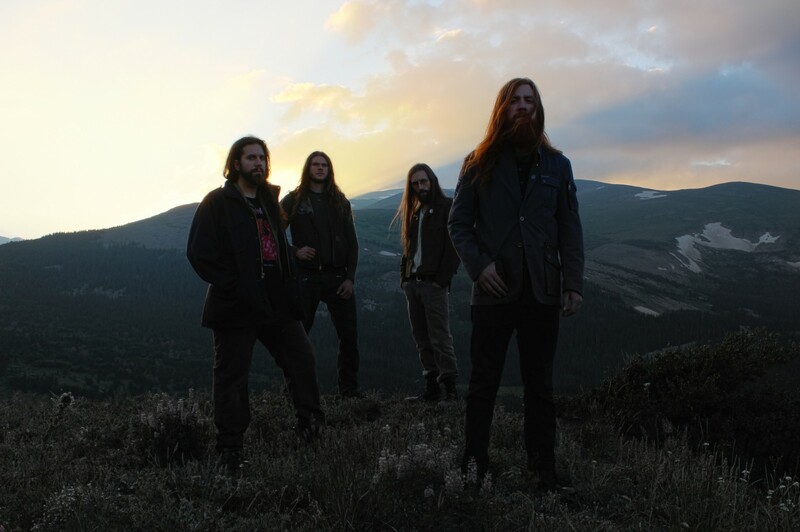 The other release is “Sovereign Nocturnal,” the 2008 debut record from Colorado’s blood-gushing Velnias, who have a knack for infusing elements of folk into their wondrous black metal. But on this album, it’s mainly harsh and crushing, with some clean trickling here and there that hinted at where the band would go in the future, most notably on their 2012 sophomore effort “RuneEater,” that was released by Pesanta Urfolk. The band’s members simply go by initials, with P.J.V. and P.S.R. on guitars and vocals, J.C.B. on bass and vocals, and A.J.S. on drums, with the band bringing experience gained in other notable band such as Abysmal Dimensions, I Shalt Become, and Twilight Congregation. These three songs that stretch over 40 minutes are savage, primal, and sometimes beautiful, and this deluxe reissue of the record should work well for anyone into Agalloch, Wolves in the Throne Room, and Drudkh. But it might also turn on someone into a band like Cobalt, because when they go heavier and more fearsome, they do a really convincing job. There’s a ton to like about this record, and hopefully this reissue treatment will get the album into more people’s hands. “Into the Arms of Oaks” begins the record with birds chirping and the sounds of nature filling the room with rustic air, with the song taking its time to open up fully. Once it does, the vocals erupt, the bands hits a full rumble, and dark melodies are drizzled over everything. The track goes back and forth from calm and tranquil to blistering and furious over and over again, and the final moments trickle away calmly, only to prepare you for the next storm. “Risen of the Moor” also begins cleanly and calmly before blasts interrupt and tear everything to shreds, and deep, gurgling growls bubble up and add a sense of chaos. The music rumbles hard and completely envelops you, with the guitars swirling and arresting your senses, and the band settling into a heavy, immersive gallop. The vocals are just vicious, and the band plays like they have violent, menacing tendencies, going back to the Cobalt comparison. The final moments are filled with devastating noise and drums that totally clobber. Closer “Sovereign Nocturnal” opens with heavy drumming, more storm clouds assembling, and then everything dissolving into calm before it explodes anew. The intensity remains pretty steady most of the way, with shrieked vocals and merciless playing before all goes tranquil again with about six minutes remaining. From there, a new sense of melody is infused into the song, and even the monstrous vocals sound like they’re trying to be a little more welcoming. I keep mentioning storms, because that’s how this music feels, and the final moments pay that off with rain drenching the ground and the feelings that a thick fog is on the horizon. Velnias needs to be on more people’s radars, and it’s great to have this deluxe reissue to relish and appreciate the way we should. In fact, with spring here in the States and the chance that the Earth will be flooded with rain water to bring the woods back to life, there isn’t a better time to revisit “Sovereign Nocturnal” and bask in its majesty. Remaining a mysterious entity as a band certainly is done for various reasons. There’s the allure of mystery, where you don’t know what’s lurking behind the shadows, thus enhancing the terror. There is the idea that the band members don’t want to be bothered. There even is the possibility that the members have jobs that could be compromised if the veil is raised. Whatever the reason that Dead in the Manger have kept a low profile and their identities concealed perhaps could be chalked up to one of those reasons. And it’s totally their business, so who is the question them? What matters is their music, and the band’s initial offering is a six-song, 20-minute EP “Transience,” one of the more eye-opening debut recordings released so far in 2014. 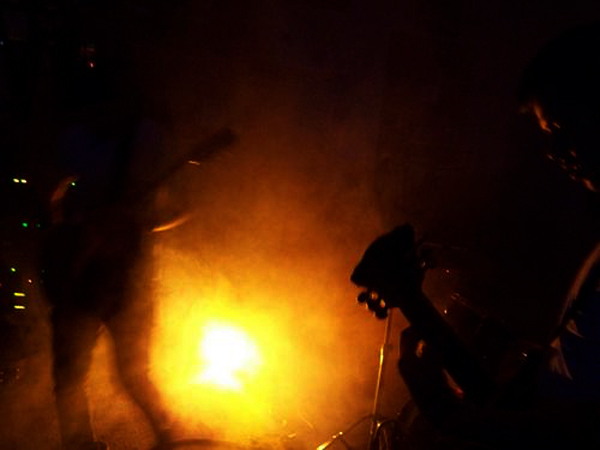 These musicians all could be members of well-known other entities for all we know, but when they come together, they have a mysterious, unique approach to black metal, grindcore, and experimental ambiance that feels fresh. Admittedly, those styles are all great tastes that don’t always taste great together, but this band makes it work. A recording and band like this could breathe some exciting air into the room, for so many bands these days follow formulas and fall by the wayside. No way that kind of thing happens to Dead in the Manger. Word is the band is hard at work on their first full-length record that will be available toward the end of the year, but for now, we have these six tracks, named “I” through “VI,” that could give you chills and nightmares. The EP goes back and forth from spacey ambiance that feels like it is taking you on a trip to a dark, suffocating star somewhere, and at others, you are leveled by the band’s violence. But it’s never just blunt and harsh. There is imagination and creativity to the music, as well as the vocal delivery, so you’re not just being bludgeoned by barbarians. You’re made to think and dream, even if those mental excursions take you to places that terrify you. It could sicken and destroy your psyche if you’re not ready for it, or maybe such experiences would be good for you and sober you to the terrors surrounding us. The first cut “I” has clean guitars, buzzing noises, and swirling ambiance that washes over everything, and creepy, whispery voices that add an essence of eeriness and frozen harshness. Growls eventually roll in, melodies rise, and cymbals crash, and then it’s right into “II,” that immediately injects speed into the proceedings. While there are elements of grind and black metal here, the guitars also have a proggy, thought-provoking edge to them. I found myself following along with every aspect of the song because so much was going on, and all of it was causing my synapses to fire. Same can be said for “III,” where guitars travels all over the place, as if trying to construct an invisible nerve center that constantly pulsates, and while there also are some airy, breezy moments that allow you to breathe, there’s just as much cerebral damage, as well as cries of, “Sacrifice your soul!” that sound threatening and real. “IV” has a chugging start, with guitars spiraling, melodies mashing and bashing, and vocals spat out to match the rhythm of what’s going on. The guitars clean up a bit, and noise trickles along with everything, while the shrieks return at full intensity. A boiling cauldron of guitars takes the song to its finish. “V” is bathed heavily with noise and a vocal sample that loops its way through the song, giving it a chilling, mysterious vibe that’s hard to shake. The track takes things back to the cosmos, and the hazy composition gets in your head and refuses to leave. Closer “VI” pours out pure brutality from the start, with harsh growls and tricky guitars that could have you tilting your head while you bang is relentlessly. Some clean playing returns to smear color into the murk, but the drums then rise and clobber, the final growls intimidate and maul, and the song fades into a bed of sound that gives you temporary respite before the band returns later this year. Dead in the Manger is a promising, interesting band that should soothe what ails anyone who is at a loss for inspiration from the current crop of artists. It’s also another smart, heads-up signing by 20 Buck Spin, who have brought us a slate of challenging bans such as Oranssi Pazuzu and Atlantean Kodex. “Transience” enthralls and captures the imagination from the start and never releases its stranglehold once. I’m excited to hear what this band will do with a full-length piece. ABYSMAL TORMENT, “Cultivate the Apostate” (Willowtip) – If you like your death metal rotting and disgusting, the Malta-based Abysmal Torment could be perfect for you. Brutal death, sludgy punishment in spots, and downright scathing vocals that go from growls to squeals all are here in abundance. If you’re a fan of Willowtip’s collection of brutal death bands, you’ll be right at home with the group’s third record and follow-up to 2009’s platter “Omnicide.” It’s not pretty, it sure isn’t slick, and the record might have you checking the bottom of your shoes to make sure you didn’t walk into the pool of blood these guys surely left behind. Another killer signing by Willowtip, who never steer you wrong. 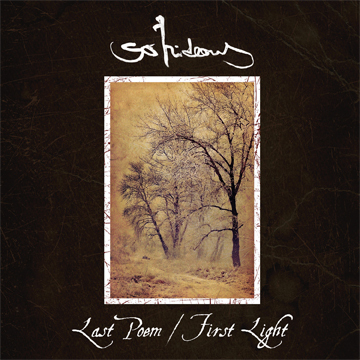 SO HIDEOUS, “Last Poem/First Light” (Prosthetic) – Here’s an interesting one and another neat pick-up by Prosthetic Records, who really have stepped up their game the last couple years singing interesting acts that push boundaries. This Brooklyn band has been kicking around since 2008 (and formerly were known as So Hideous, My Love…) refining their sound that’s based in black metal but doesn’t end there. They cite composers Phillip Glass and Arvo Part and even get a hand from The First Light Orchestra on full-length debut “Last Poem/First Light,” making it one heady experience. Symphonic-based black metal (not the cheesy kind), post-rock tendencies, and eerie ambiance combine to make a great storm immersed in fresh ideas. And chaos. 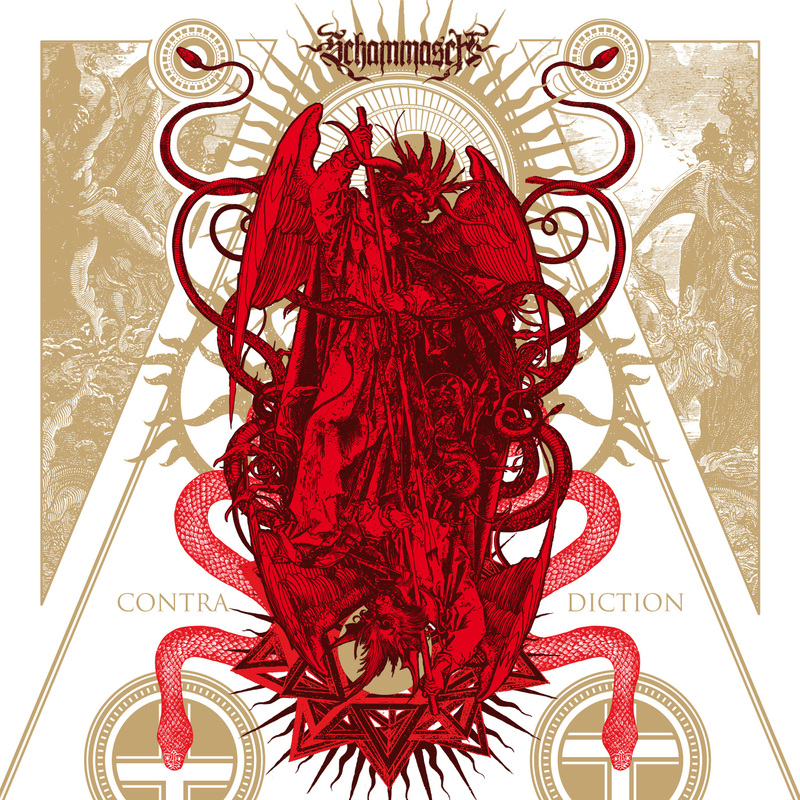 SCHAMMASCH, “Contradiction” (Prosthetic) – Speaking of the progress Prosthetic has made bringing us challenging new acts, “Contradiction,” the second record from Swiss black metal band Schammasch, is a damn interesting one. You certainly can hear that countrymate Tom G. Warrior grabbed their ears, but they also have some Ruins of Beverast and classic Behemoth to them, as well as ancient elements and other mystical powers. This is a weighty record at nine tracks, 84 minutes, and two discs. It’s quite a journey, and a very dark one, though even at the long running time, the thing is bound to keep your attention and enrapture your senses. Dark spirits, strange auras, warbling vocals, adventurous music, and a sense of eerie unrest dress this record that should find favor among those who like their black metal stretched into space. 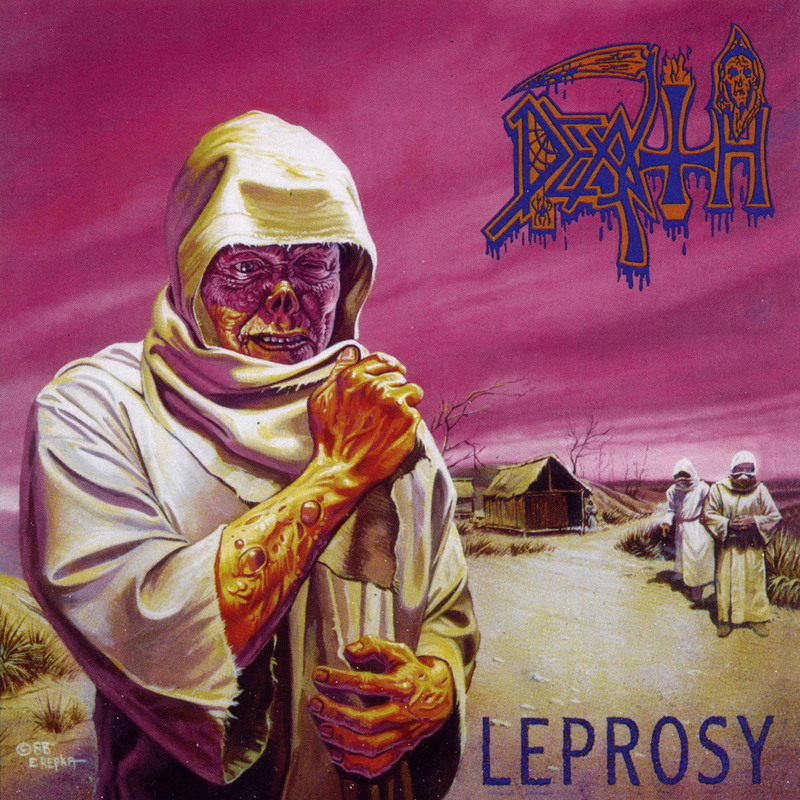 DEATH, “Leprosy-Reissue” (Relapse) – Relapse’s ongoing project to reissue the Death catalog brings us to the band’s awesome second record “Leprosy,” a pure death metal calling card before the band started to delve into more experimental and progressive tendencies. This record is mean and brutal, rising out of thrash metal’s dominance and into a world even more dangerous. Originally released in 1988, this album sounds as vital and explosive today as it did then, and Alan Douches does a fine job remastering this classic slab of essential death metal. There also is a second disc of rehearsal takes of some of the record’s songs, and if you jump early, Relapse has a special 3-disc collection that includes a live set. This is must-have stuff for any death metal fan. Did you ever get a message, or see a bizarre social media post, or have someone say something ominous to you that left you worrying about that person’s frame of mind? It’s one of those things where you don’t know if someone is trying to blow off steam or if there is a genuine reason to reach out and intervene to prevent something awful happening. We now have three Lord Mantis records at our disposal to basically act as a cry for help—merely by definition, not that he actually wants it–from its deranged mastermind Charlie Fell. And I say “deranged” based on his art and not from having met the man before. There’s something about what he does with this band that stands above your basic death or black metal. Yeah, there is shadowy, scary imagery all over the place from other faceless groups, so much so that it all has become numbing to the senses. But there’s something about what Fell does that is so genuinely alarming and frightening, that I worry as a listener if it’s not just art he’s creating. It feels like he’s literally bleeding himself on his records, and his latest opus “Death Mask” is his most aggressive and most experimental document to date. Fell handles bass and vocals on this record, and joining him this time around are guitarists Andrew Markuszewski (whose Avichi also records for Profound Lore) and Ken Sorceron (an original and current member of Abigail Williams), and drummer Bill Bumgardner (Indian). Guitarist Dylan O’Toole, also of Indian, contributed vocals to a couple of tracks on the record, which is fitting as he knows a things or two about uncomfortable situations and letting loose his psychological horrors. Sanford Parker was behind the boards for this one, and he gets the most from the band and also helps bring out some of the more daring tendencies from their muddy brand of black metal and doom. The record begins with the abrasive “Body Choke,” a song built on harsh riffs, eerie guitar work, and Fell howling, “Kiss the snake, kill the child!” The vocals hit deranged on more than a few occasions during the track, speed eventually ignites and gets the fire burning brightly and toxically, and weird spacey noise and a heavy dose of ugliness take the song to its end point. The title cut is pure madness, with heavy punishment dished out, vocals that sound like they are trying to do you psychological harm, and drums that blow everything to dust. As the song progresses, Fell’s vocals grow more and more sinister, with him howling out, “You lay your curse!” “Possession Prayer” is bathed in industrial chaos and feels like it is trying to do war with the machines at the same time. “My life will end in blood,” Fell vows, one of those lines that make you wonder if the threat is real, and pulsating noises and power that fully engulfs you should make it easy to feel the pain and anguish contained in this song. Interlude “You Will Gag for the Fix” drizzles over into “Negative Birth,” a track has doom-infested guitar work, noise that sizzles and corrodes, terrifying screams, and a tempo that gradually builds into a speed assault that continues to pound away without mercy for the rest of its running time. “Coil” is the real curveball of the set, with strange vocals that are treated with alien robot effects to make Fell’s message feel that much more detached. Noise wafts throughout the song, and everything here feels wholly unhuman, like it was sucked in from a wormhole or from a parallel plane where that world’s version of Fell tries to reach out to find his suffering twin. They both end up having out-of-body experiences. The 10-minute closer “Three Crosses” begins with guitars firing on all cylinders over a slow-driving track that takes its time to maul and deface you. The vocals are savage and purely ugly on purpose, some melodic guitar lines slip in to give a hint of hope, only to be snuffed out later, and total chaos re-emerges later in the track. The violence is spread thick over the back end of the song, and Fell goes for his final cries and moans of desperation, going out in a final blaze of fury that feels scarring and mean. Fell’s hatred, anger, and misanthropy never has been thicker or more apparent. This record feels like hate and disgust piled on top of misery and depression, and if it makes you feel good inside, there might be something wrong with you. That said, “Death Mask” is an incredible metal record, one that finds this band throwing caution into hellfire and doing whatever they want. This feels sick and depraved, it’s destructive as hell, and it’s the best, most mentally challenging Lord Mantis record to date. Autopsy really need no introduction. They are one of the bands that helped create the death metal sound (which is now known as old-school death metal…) and are responsible for some of the genre’s most important releases. Bands have followed them not just for their sound but for their horror-themed music, and they deserve endless adulation for the work they have done. Creating their creepy fun alongside bands such as Carcass, Death, Morbid Angel, Entombed, and many others, they carved a Hall-of-Fame-worthy reputation for themselves and became an unquestioned heavy hitter. But there was a world without an Autopsy for a while, when the band went dormant in 1995 after the somewhat disastrous “Shitfun” record that followed classics including 1989 debut “Severed Survival” and 1991’s “Mental Funeral.” After they disappeared, the death metal world exploded years later, and the sound Autopsy helped cultivate started to grow and spread like a disease. Of course, the other issue is people saw money in death metal, bands went the slick and neat route to move units, and death got to a major watering-down point. For people who liked the true, or old-school, sound, these were disheartening times. 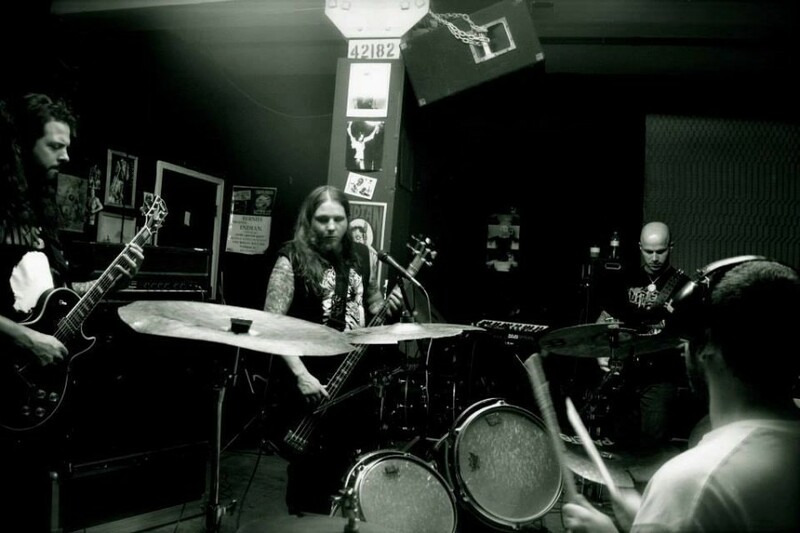 Luckily, Autopsy were revived in 2008 to do live shows, and the following year they released a 7-inch that marked some of the band’s first new music in nearly a decade and a half. A killer EP “The Tomb Within” followed in 2010, and a year after that their first full-length album since 1995 dropped in the form of “Macabre Eternal,” a great return to form that made longtime fans everywhere bask in its glory. 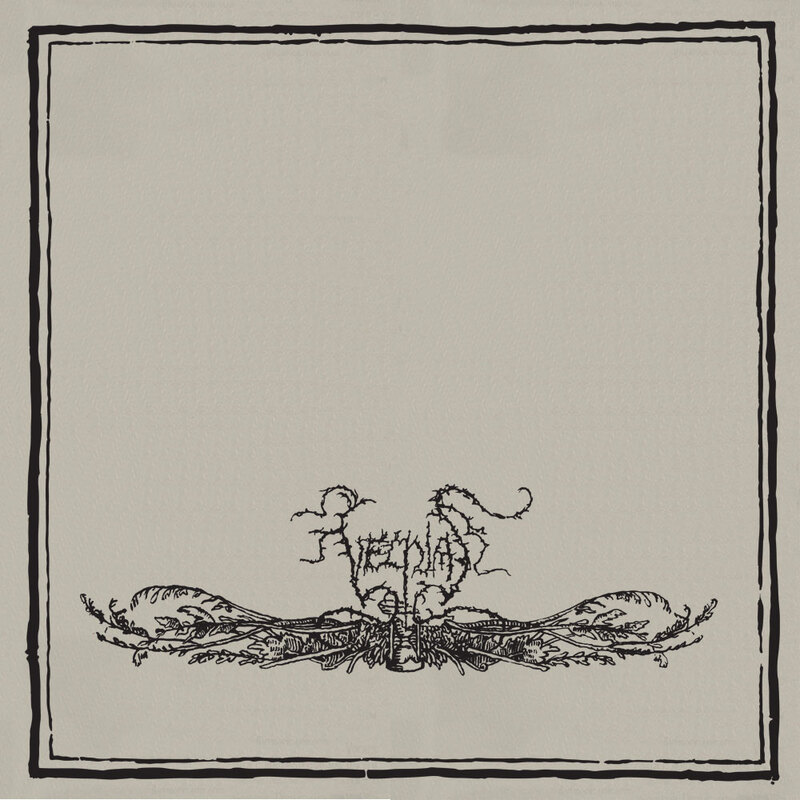 “The Headless Ritual” followed in 2013 to somewhat unenthusiastic response from some (we were fine with it though not totally blown away), and already the band is back with their seventh record, the fittingly titled “Tourniquets, Hacksaws, and Graves,” as well as its properly gross album artwork. If you were disappointed with “Headless” and wanted something more in line with their classic work, you’re in luck. They sound animalistic and furious, and it’s a brutal and fun listen. Another thing that has kept Autopsy strong is their lineup, three-quarters of which is from their glory days. On vocals and drums is the unmistakable Chris Reifert, whose expression and bloody charisma made him a revered figure in the death metal scene. On guitars are Eric Cutler and Danny Coralles, and on bass is Joe Trevisano, who has been in the fold since 2010 and also played with Reifert and Coralles in Abscess. The guys give you exactly what you want here if you’re a staunch Autopsy fan who prefers the band as they’ve always been. The fact they haven’t changed much over the years isn’t a bad thing at all, as they know what they’re doing, they have a mission, and they execute it well. The record kicks off with a quick track in “Savagery,” a song that instantly clues you into what this record will be like and how you’ll be brutalized. The vocals are perfectly growly, the guitars sound like they originated in 1990, and the soloing is razor sharp and just a bit out of control. “King of Flesh Ripped” is up next, with gruff, gurgly vocals, a thick slab of doom-infested guitar work, and a menacing approach they pull off perfectly. The title track follows, and the music is choppy and crushing, the vocals monstrous and dangerous, and a devastating thrash section goes right for the throat. “Your heart is bursting in your ugly chest!” Reifert howls, as he’s backed by grimy, glorious guitars. “The Howling Dead” opens with spoken vocals that are dressed with hisses behind them, and the song slowly trickles into doom territory. The back end of the song is faster and pushier, with a nice death tempo taking the track to its end. “After the Cutting” is doomy and sludgy, working its way through the mud. Then it explodes and becomes gnarly and confrontational, meting out a severe beating the rest of the way. “Forever Hungry” begins ominously, but then the drums near blast beat territory, riffs sprawl all over the place, and one final wave of punishment puts this track in its grave. “Teeth of the Shadow Horde” sounds like the name of an episode of the old He-Man cartoon (which was unstoppable), and you get a nice serving of violent chugging, nasty vocals that seem aimed to maim, and tortured screaming that cries out at the end, seemingly begging for mercy. “All Shall Bleed” is an instrumental interlude that mixes molten guitars with strange keyboards, and that goes into “Deep Crimson Dreaming,” one of the stranger songs in the Autopsy canon. There are clean guitars that lead into the song, and you’ll find far more melody than one could expect from this band. The vocals remain gurgly, and it does have its heavier moments, but it’s more mesmerizing and mystical than violent. “Parasitic Eye” sinks its teeth back into doom again, with swirling guitars causing tension and nausea, and the vocals sounding like they are choking Reifert to death. “Burial” has mucky riffs, growled/coughed vocals that sound like the pestilence remains from the last song, and more eerie noises that reflect total darkness. Closer “Autopsy” … wait. Yes, they finally have a song named after themselves. Took them long enough. But it’s a great one, with thrashy goodness creating the savagery you want, the vocals piercing and boiling, the guitars leaning toward Black Sabbath worship, and vicious cries that drive right into a feedback bed that ends the song—and the record—on a smoking note. We need Autopsy in this world to keep the death metal scene honest and to feed us the proper amount of gore and horror that we require. Their return has been pretty rewarding so far, and “Tourniquets, Hacksaws, and Graves” is as good as anything they’ve released since their reformation. Hell, it even compares favorably with some of their classic stuff, which is another reason to be thankful that this band is alive, well, and still killing. Not all band reunions are created equally. Some are done because there is money to be had, and putting the band back together is the best way to capitalize on said opportunity. Actually, my guess is most reunions are based on that model, and you really can’t blame them. But there are other reasons for pulling the forces back together that have more to do with spirit of the project. Floor’s story is much more the latter. The Miami-based sludge/doom band started making noise more than two decades ago, and although they survived for quite some time after their initial formation, they only had two full-length releases and a ton of mini efforts to their name before they called it a day in 2004. They were a classic case of being ahead of their time, creating music that was both impossibly heavy but also sticky and fun in a poppy way, a formula not a hell of a lot of bands in their time were doing. They also had frighteningly down-tuned guitars, the infamous bomb string, and really catchy vocals that made them sound different from just about everyone out there, but that didn’t result in mass adulation or enough support to sustain the band. Once the band split, guitarist/vocalist Steve Brooks went on to form Torche, an insanely fun group that was much in the same vein as Floor, though a bit more exuberant musically, and they pumped out great records such as their 2005 self-titled record, 2008’s untouchable “Meanderthal,” and 2012’s “Harmonicraft.” The sound seemed to indoctrinate people to this style, and along the way, listeners found their way to Floor’s discography and realized that band’s greatness. 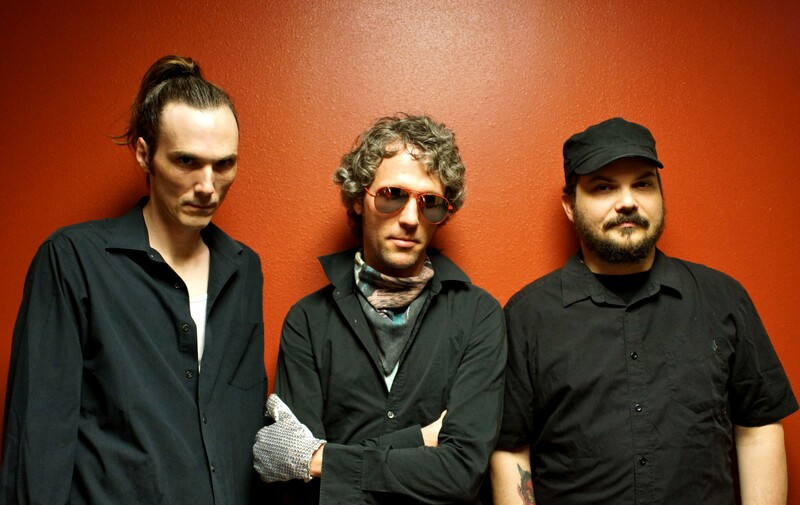 Robotic Empire put out an insanely extensive anthology “Below & Beyond” for the band in 2009, with 10 LPs, 8 CDs, a 7-inch, a book, and more, and the guys then got back together for a reunion tour in 2010 to find their audience had swelled. 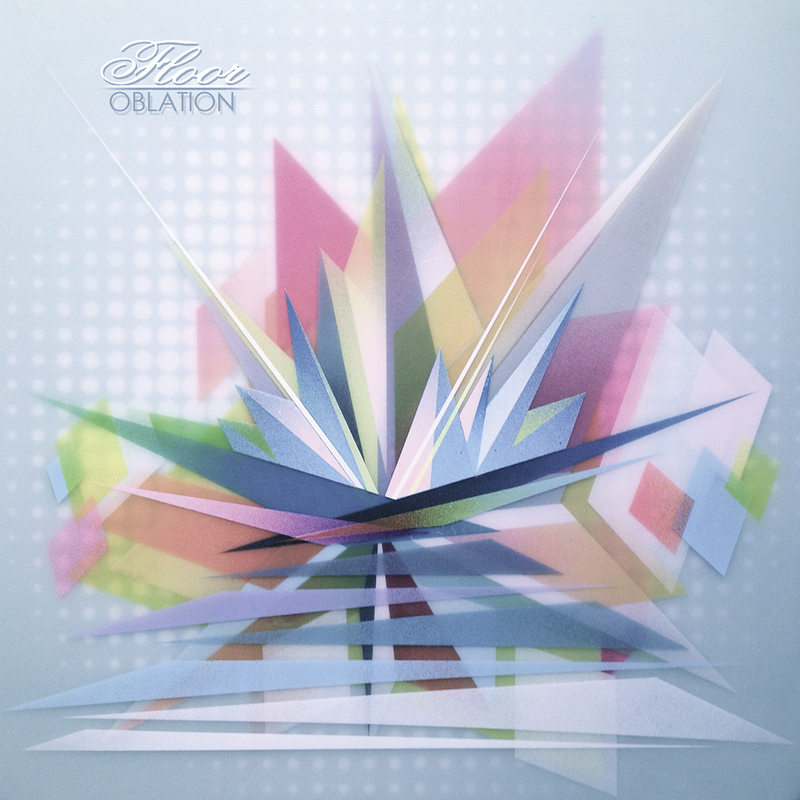 While Floor initially said no new music was going to come from their reformation, that idea changed as time went on and now we have the glorious new “Oblation.” This 14-track, 45-minute record is stuffed to the gills with songs, riffs, hooks, and sludge, and it’s one hell of a return for the band. One drawback, especially to newcomers, is the music might sound very similar to what a million other like-minded bands are doing these days, but that just goes to show the Floor/Torche influence. These guys crafted this sound, and that must be kept in mind when taking on this album. Floor has Brooks on guitars and vocals, sounding in fine form as always, and remaining one of the more engaging singers in extreme music. Anthony Vialon is on guitars, and Henry Wilson is on drums, and behind the boards for this record is Kurt Ballou, weaving his magic and really capturing the power of these guys. It’s a killer sounding record, and it’s great to have these guys back, even if it’s only a part-time thing between Torche records. I don’t know that it is the case, by the way, but I’d be fine with that setup. I’m sure a lot of people feel that way, too. With 14 tracks, the record’s songs do smear into each other from time to time, but not really in a bad way. The record opens with the title cut, which is heavy and sludgy, with sleepy vocals and a slow-driving, drubbing tone. “Rocinate” changes the pace instantly, with a blistering opening, a driving tempo, the guitar strings rumbling like the earth is exploding, and Brooks promising “always and forever.” “Trick Scene” is muddy and thick, but also appealingly catchy, and “Find Away” also is a blast of fun, with Brooks threatening they’re “changing rhythms as we go,” continuing to push the madness with full force. “The Key” is a quick, 47-second instrumental blast that just seems to be there to put a pocket before “New Man,” a great, engaging song that’s full of guitar buzz and catchy filth that’ll get your blood pumping. “Sister Sophia” has the guitars lighting up again, blazing power, with chugging music, hopeful vocals and lyrics, and a really strong finish that hammers in a nail at the end of the sentence. “The Quill” has awesome, feedback-smeared guitars, and the song drubs you slowly but thoroughly during its running time. Trust me, it’ll bruise you. “Love Comes Crushing” truly lives up to its name, with abrasive strings that rumble like thunder, the entire band sounding like machines that have gone to war against each other, and a finish that suddenly launches into speed and danger before it cuts itself off. “War Party” has more great riffs, with Brooks howling, “Control denied!” as the band takes its time clubbing your senses with roiling madness. “Homecoming and Transitions” has reverberating guitar work, Brooks voice blending in with guest vocalist Melissa Friedman, who adds a sense of chilled beauty to the song, and the two vow to “learn from yesterday.” This is a really great song. “Sign of Aeth” runs nearly eight minutes with guitars ringing out, Brooks howling, “We are chosen,” and the song settling into a smoky, doomy tempo that sounds more evil than fun. The song threatens to break open entirely here and there, but it remains murky and atmospheric for the most. The final couple minutes take on a classic rock feel, especially vocally, and the band trudges a bit more, but it’s never full throttle. “Raised to a Star” follows, with burly guitars and a hazy tempo that burns slowly, and closer “Forever Still” is a sugary, blistering blast of fan, with Brooks’ vocals purposely detached, the tempo bruising, and the whole thing getting caught in your head and refusing to let go. It’s a great way to end this record and a glorious way for “Oblation” to walk out into the sunset. Floor’s return is a triumphant one, and “Oblation” is a comeback record that makes it feel like this band never really went away. They give you a stuffed collection with more riffs and melodies than you can handle, and hopefully this will lead to even more people learning about the group’s history and their undeniable influence on doom and sludge rock. It’s time for another sickening, terrifying trip down the wormhole that is Australian metal, and as many of you know, this isn’t a journey to be taken lightly. Things apparently are done a little differently Down Under, especially with bands such as Portal, StarGazer, Bestial Warlust, and Mournful Congregation. Another of those hellacious bands in Impetuous Ritual, a group that shares members with Portal and Grave Upheaval and is on their second full-length document of chaos, the impossibly thick and mean “Unholy Congregation of Hypocritical Ambivalence” (out on Profound Lore). If you were into their 2009 debut “Relentless Execution of Ceremonial Excrescence” (holy hell, it’s been five years?! ), chances are you will feel pretty at home with this new one. Well, as home as you can feel taking on a record that sounds like the manifestation of hell on earth. You know how people will make lame jokes about metal like, “Oh, this one will scare your grandmother!” Yeah, well this one will scare other death metal fans, ones that aren’t ready for such an infernal, suffocating, punishing record. The bands on that cute little Mayhem fest? They’d piss themselves having to take the stage next to a horde like this one. Come to think of it, that would actually get me to go to that clown show, just seeing the reactions. But we’re not here to slam mall death metal (well, we kind of are); we’re here to discuss this dense, eight-track vitriol that gets heavier, stranger, and more relentless as the thing runs its course. It’s not an easy listen to anyone who seeks a little perfection in their death metal, because this thing sounds like it was scraped over with a greasy Brillo pad, giving it that mucky, ominous feel. You have to concentrate deeply and show some patience if you are to have a shot at uncovering each layer of this record. But if you do, you’ll notice the musical genius of guitarist/vocalist Ignis Fatuus (Portal, Grave Upheaval), guitarist Omenous Fugue (Portal), bassist Typhon (Grave Upheaval), and drummer Necros Craigos (Mongrel’s Cross), whose work on this album is one of the most dominant factors. He rumbles and destroys behind the kit, and maybe it was by accident, but he becomes something of an all-star of this album with his playing. He cannot be contained. “Verboten Genesis” gets the record off to a raucous start, blasting open in its first seconds to drag you into a world of nightmares. The deep growls reverberate, eventually getting into your veins and shaking your central nervous system. The guitars go off and are unrelenting in their mission, screeching and whining, leaving you dizzy and disoriented, and the drums obliterate everything in their wake before the song ends. “Venality in Worship” serves up more boiling madness, with raw growls, guitars with their own agenda setting off and setting things ablaze, and an overall churning feeling that just might sicken you. “Sentient Aberrations” remains just as suffocating as everything that preceded it, which really is a running theme of the record, and horrific, echo-laden growls and splattering drums give this song its unquestioned power. The 9:07-long “Despair” follows, and it’s the first song to change the pace, with drubbing, mid-tempo doom that crushes, a dark ambiance that sets a tone, charred growls, and a calculated beating. Then everything ends suddenly but lights back up again, finally pushing the tempo forward and unleashing crazed, whinnying soloing that drives you to the eye of insanity. 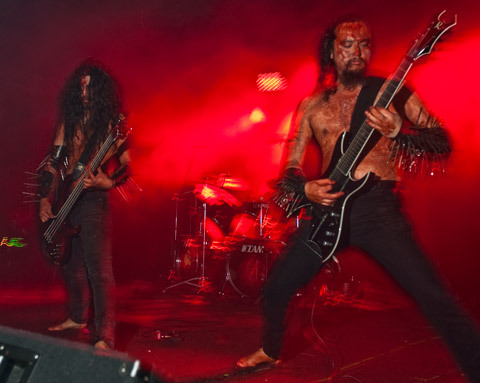 “Inservitude of Asynchronous Duality” trickles right out of “Despair,” with more charred guitars, clubbing drumming that could put welts on your face, a sweltering wave of noise, and vocals that again go for the darkest depths of the world. In fact, the vocals switch tones to terrifying shrieks and wails that sound like a man dying in his boots, and they make for some of the scariest moments of this record. “Womb of Acrimony” is devious and harsh, with gut-wrenching guitar work and evil spiraling right into “Metastasis,” as if they are conjoined. The band keeps stoking the fires, boring into your soul, while death bells chime over and over again, the tone feels dangerously ritualistic, and deep-seeded growls lacerate your heart. 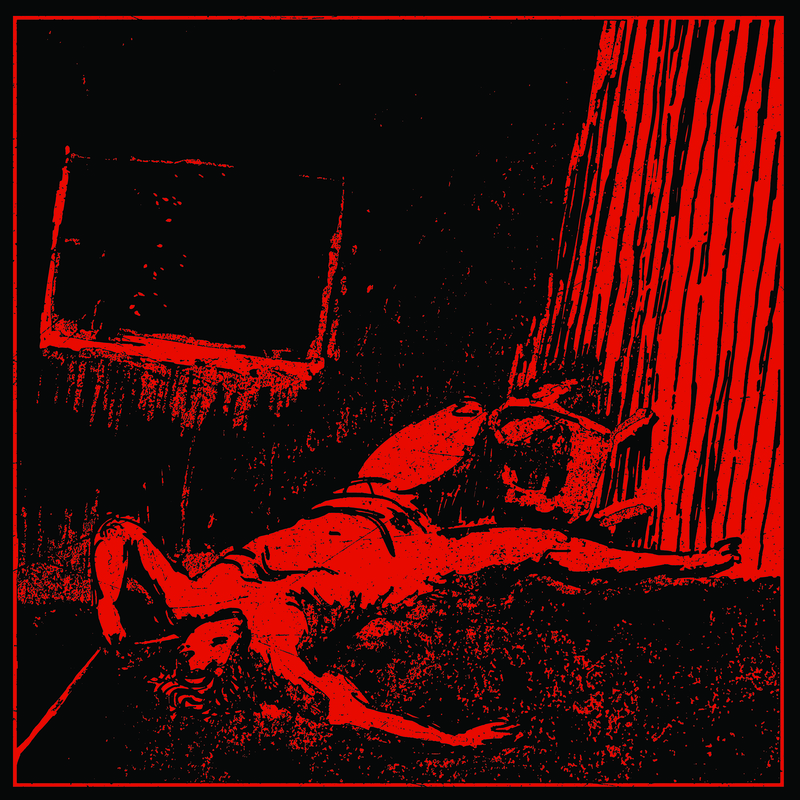 Closer “Abhorrent Paragon” gives the drums one final chance to do further damage to your psyche, while the hellacious noise they generate is overwhelming, the growls sound cavernous and filthy, and the guitars grind out and mete out their last acts of horror. 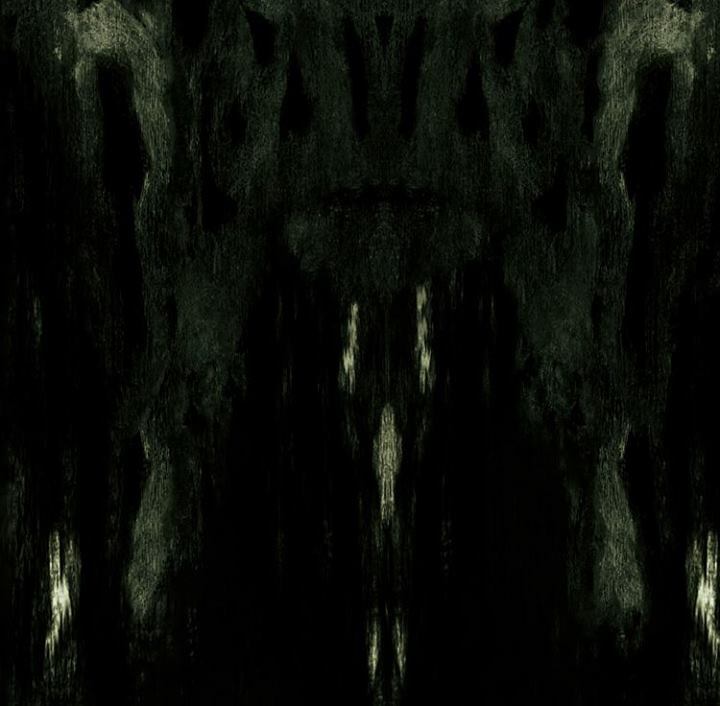 Impetuous Ritual remain one of the darkest, most dangerous death metal bands in the world, and there isn’t an ounce of compromise in their sound. You don’t get it? That’s too bad. These guys lay it on thick and deadly on “Unholy Congregation of Hypocritical Ambivalence,” an album too frightening for your run-of-the-mill metal fan, too dense for a listener who needs everything spoon fed and safe, and too smoky for someone who likes their death metal clean, neat, and digestible. Those people will be the ones in the corner choking while Impetuous Ritual claim their useless souls.